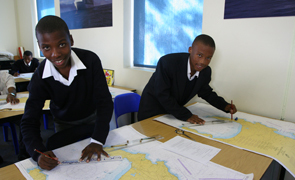 By providing students aged approximately 15 to 17 with specialised knowledge and skills in their last three years of secondary schooling (Grades 10 to 12), the Lawhill Maritime Centre at Simon’s Town School has, for the past 23 years, made it possible for hundreds of young South Africans to embark on successful careers in the maritime and other industries. 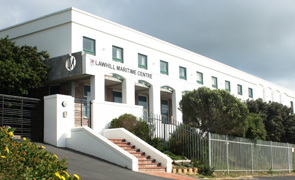 The hundreds of young South Africans who, upon leaving Lawhill, have gone on to pursue successful careers because of the specialist education they received at the STS Lawhill Maritime Centre, is proof of the effectiveness of our programme in helping to reduce the high levels of youth poverty and unemployment in South Africa. 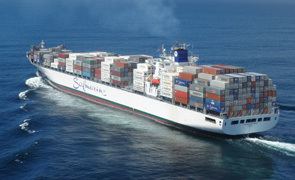 Most of our students begin the Maritime Studies course with little background of the maritime industry – some may not even have seen the sea or a ship at close quarters – and, after our three year programme, they emerge with a range of knowledge and skills that makes them immediately employable in the shipping industry. WANT TO JOIN US IN 2020? – PSE CLICK ON THE LINK IN THE TOP RIGHT CORNER FOR FORMS AND INFORMATION. 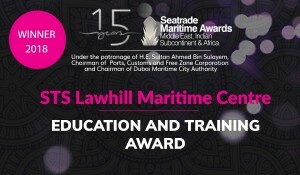 Wholly-funded by the maritime industry, the Lawhill Maritime Centre has won several awards since it was founded, as a pilot programme, in 1995. The latest award is the Seatrade Africa, Middle East and India Education and Training Award which we received in Dubai in October 2018. Past awards include the Lloyds List ‘Salute to Youth and Training’ award (1999) and more recently, the international Seatrade‘Investment in People’ Award (2012), a Platinum Award from the Impumelelo Social Innovation Centre (2013) and the Maritime Review Newsmaker of the Year Award (2017).